Once filed, the application will be processed over the course of approximately 12 months. Processing can take longer if the application is not complete, if clarification of the products or services is required or if the trademark Examiner makes objections to registration. 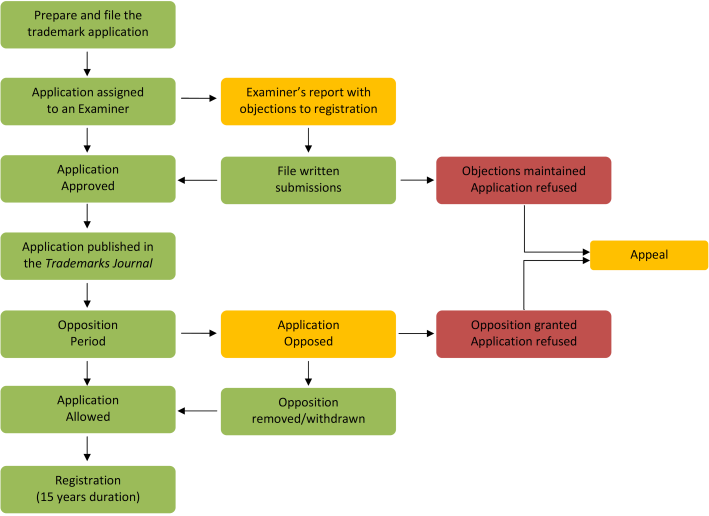 An opposition to registration by a competitor or prior rights holder will also delay the advancement of an application. Is the trademark already registered?